Textile & Foams | MikroCaps d.o.o. Thermoregulated textile and foams provide a thermal balance between the heat generated by the body and the heat released into the environment. Materials that contains formaldehyde-free microcapsules of PCMs react immediately to environmental or body temperature changes. When the body temperature rises, the additional heat energy is absorbed and the body cools down. When the body temperature drops, the stored energy is released and the body is kept warm. This heat exchange minimize changes in skin temperature. 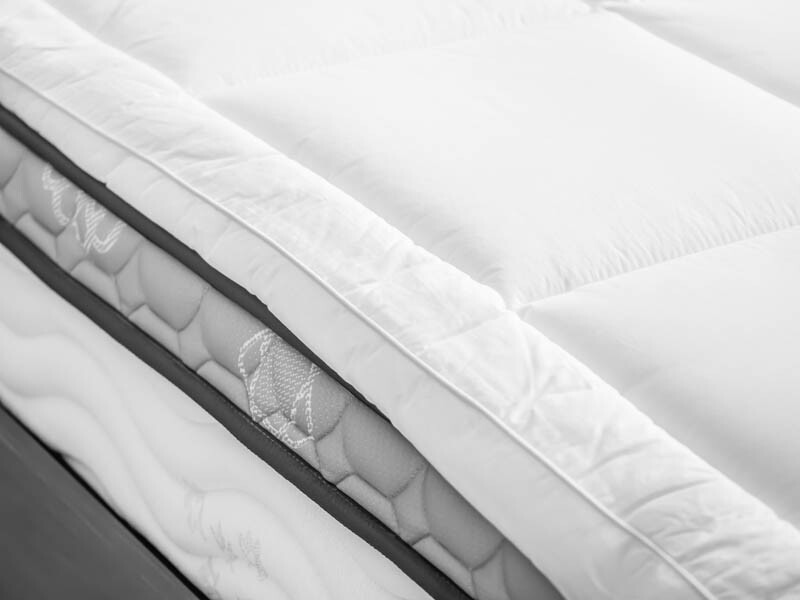 The active thermo regulating effect of PCM results in a substantial improvement in the comfort of bedding accessories such as mattress covers, foams, quilts and pillows. Besides perfect thermoregulation effect, products treated with MikroCaps PCMs free-formaldehyde capsules stays soft, white, odourless and has very good washing durability of PCM. MikroCaps fragrances offer the possibility to prolong durability of the applied fragrance on the textile. The fragrance is released from the textile by breaking the microcapsule shell. The microcapsules can be applied by impregnation, spraying or coating. By proper fixation the capsules survive repeated washing and release the fragrance for a long time in various textile applications such as bedding accesories, carpets, garments. MikroCaps fragrances are formaldehyde-free, easy applied during finishing and provide very good smelling intensity.